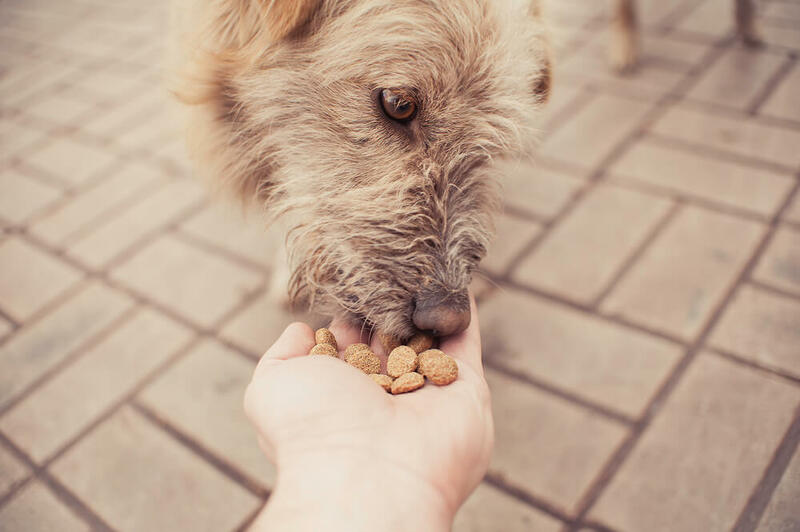 Whether you are using treats for training and behaviour rewards or as a bedtime snack, finding the right treats for your furry pooch is a daunting task. It’s actually pretty simple; read the Nutrition Facts box. By law, most of the information you need to know in order to determine a product’s quality is required to appear on the label. Ingredients that are fresh, pure, and as minimally processed as possible. Natural preservatives such as tocopherols and ascorbic acid. In general the fewer ingredients the better. Easily recognizable and a named sources of any animal protein or fat. E.g lamb, chicken, beef, salmon etc. Products from UK or other safe countries. Low-quality grain and protein by-products. Artificial colors and preservatives such as BHA and BHT. Treats loaded with sugar and fat. Unnamed animal sources. E.g. animal protein begs the question, which animal? Poultry fat is more specific but is this chicken, turkey or another bird? Natural or lightly bleached rawhides (they have a light tan). Hides that are made from a single sheet of rolled and knotted rawhide. Examine the ends of the roll, does it look like one piece or does it look like the outer layer is hiding all sorts of little scraps inside pressed together with who knows what. Extremely white, basted, colored or flavoured rawhides. Knots that are separate from the roll. These will be quickly separated from their rawhide sheet as your dog starts to chew and pose a chocking hazard. We’ve all heard about the ongoing warnings regarding jerky treats made in China – although that may not be the only problem. You can read about it here. While the FDA will not come right out and tell dog owners not to feed their dogs ingredients from China, personally I would err on the side of caution until a cause or explanation can be found. To be safe, know the source of ingredients and who is doing the manufacturing. Choose a company that you can call to speak with someone who is knowledgeable.